The Finnish banking sector is characterised by a strong presence of pan-Nordic banking groups in Finland coupled with robust local financial and banking groups, and specialised institutions. Finland suffered a severe banking crisis between 1991 and 1994 that thoroughly reshaped the banking sector. Partly because of this experience and ensuing structural changes, Finnish banks were able to weather the global financial crises that began in 2008 more resiliently than some of their European peers. During 2017, the Finnish economy was going through a phase of rapid growth and, according to the Finnish Ministry of Finance, the strong economic growth is projected to continue, albeit at a slightly slower rate.2 Furthermore, consumer confidence reached a record high level and unemployment continued to decrease. According to a survey conducted by Finance Finland, both households and businesses asked for loans more frequently than in 2016 and the keen demand for loans was expected to continue in the first quarter of 2018.3 The increase in household loans was mainly driven by the growth of housing loans, while the increase in business loans was particularly driven by a growing demand for investment loans. The largest credit institutions in Finland measured by total assets as at 31 December 2017 are OP Financial Group (previously OP Pohjola Group, including 167 cooperative banks) with €137.2 billion, Municipality Finance Plc with €34.7 billion, Danske Bank A/S, Finland branch,4 Aktia Group with €9.6 billion and the Savings Bank Group with €11.3 billion. Nordea Bank AB (publ) announced in 2017 that the board of directors of Nordea Bank AB (publ) had decided to initiate a re-domiciliation of the parent company into Finland. The decision was based on the Nordea Group’s unique pan-Nordic international structure, which means that the existing national regulatory frameworks do not fully accommodate the group’s operating model and recent strategic developments. Nordea Bank AB (publ) expects that domiciling the parent company within the EU Banking Union will subject the Nordea Group to the same regulatory framework as its European competitors, with greater consistency in the application of laws and regulations. The annual general meeting of Nordea Bank AB (publ) held on 15 March 2018 approved the merger plan between Nordea Bank AB (publ) and Nordea Holding Abp, a newly established Finnish subsidiary of Nordea Bank AB (publ), whereby the domicile of Nordea Bank AB (publ) will be transferred to Helsinki through a cross-border reversed merger. In addition, Danske Bank Plc, one of the largest credit institutions in Finland, merged with its Danish parent company, Danske Bank A/S, on 31 December 2017. In that merger, Danske Bank A/S automatically assumed all assets and liabilities of Danske Bank Plc and Danske Bank Plc was dissolved. Danske Bank A/S currently offers banking services in Finland through Danske Bank A/S, Finland branch. The most significant trends in the financial markets in 2017 included the influence of digitalisation, driven by customer expectations, competition and new regulations. Consequently, Finnish banks have taken steps to adapt to the changing environment and new forms of competition in the financial sector by revising their strategies and developing new services and service channels as well as cooperating with fintech companies. Furthermore, the revised Markets in Financial Instruments Directive (MiFID II)5 and the second Payment Services Directive (PSD2)6 became applicable in early 2018, and leading Finnish banks have accommodated new regulations by investing in the development of digital services. The primary law governing credit institutions in Finland is the Act on Credit Institutions (ACI).7 The ACI entered into force in August 2014, replacing the previous act of the same name. One of the main objectives of the reform was to implement via the ACI the CRD IV Directive8 and the Capital Requirements Regulation (CRR)9 into Finnish legislation. regulations and guidelines issued by the Finnish Financial Supervisory Authority (FIN-FSA). As regards banking services provided by non-Finnish banks, the ACI sets out conditions under which non-Finnish credit institutions may provide their services in Finland. Credit institutions from countries belonging to the European Economic Area (EEA) may provide banking services in Finland either by establishing a branch or by providing cross-border services, provided that a notification is submitted to the FIN-FSA in accordance with the passporting regime available to EEA credit institutions. Credit institutions from non-EEA countries are not able to take advantage of the passporting regime available to EEA credit institutions and, consequently, if a credit institution from a non-EEA country intends to provide its services in Finland, this must happen through a branch with prior authorisation from the FIN-FSA. The authorisation procedure for non-EEA credit institutions is comparable to the authorisation procedure applicable to Finnish credit institutions. At present, there are no authorisations for non-EEA credit institutions in force in Finland. The FIN-FSA is responsible for the supervision of Finland’s financial sector. The objectives of the FIN-FSA’s activities are to enable balanced operations of credit institutions and other supervised entities as well as to foster public confidence in financial market operations. The FIN-FSA is further responsible for, inter alia, promoting compliance with good practice in the financial markets and disseminating general knowledge about the markets. These objectives and the duties of the FIN-FSA have been included in the Act on the Financial Supervisory Authority,18 which sets forth a comprehensive list of the FIN-FSA’s duties and delineates its supervisory powers. While the FIN-FSA operates in connection with the Bank of Finland, it makes independent decisions in its supervisory work. In addition to that work, the FIN-FSA is the authority that grants authorisations needed by many financial market participants, such as credit institutions, investment firms, fund management companies and insurance companies. When carrying out its supervisory duties, the FIN-FSA has considerable authority to obtain information from the entities under its supervision, regardless of any rules on confidentiality. Furthermore, the entities supervised by the FIN-FSA are required to regularly file various reports to the FIN-FSA, which uses the reported data to monitor the supervised entities’ economic standing and risks, and to analyse their profitability, capital adequacy, risks and business volumes. The FIN-FSA may exercise various supervisory powers, such as imposing a temporary prohibition on a person holding a managerial position in a supervised entity or, in extreme circumstances, cancelling an authorisation granted to a supervised entity. Moreover, the FIN-FSA may impose administrative sanctions, including administrative fines, public warnings and penalty payments. By the entry into force of the new ACI, the sanctioning powers of the FIN-FSA were extended notably. In particular, the maximum amounts of penalty payments were increased significantly, bringing the maximum amounts of the penalty payments the FIN-FSA may impose for failures to comply with certain requirements of the ACI in line with the maximum penalties provided for in the CRD IV Directive. A significant change took place in the supervisory regime when the new single supervisory mechanism (SSM) commenced its operations in Europe in November 2014. The SSM is a system of financial supervision comprising the European Central Bank (ECB) and the competent national authorities of the participating EU Member States. The legal basis for the SSM is Council Regulation (EU) No. 1024/2013. Within the SSM, the ECB will directly supervise significant credit institutions, and will have an indirect role in the supervision of less significant credit institutions, which continue to be supervised by their national supervisors in close cooperation with the ECB. At the time of writing, two Finnish credit institutions and groups (OP Cooperative and Municipal Finance Plc) have been classified as significant institutions, and they have been transferred to the direct supervision of the ECB. The Act on the Financial Supervisory Authority contains specific provisions for the supervision of foreign supervised entities and their branches in Finland, and on cooperation with foreign supervisory authorities. The board of directors of a bank shall create a framework for the bank’s internal governance. To fulfil this and other tasks, the board may opt to create committees or other working groups that are charged with assisting the board in fulfilling its duties. The day-to-day operations of the bank are the responsibility of its senior management, consisting of, for example, the managing director and members of the management group. It should be noted that while there is no legal requirement to have a management group, it is recommended to create such a body to provide assistance to the bank’s managing director in the fulfilment of his or her duties. In addition to the organisational requirements discussed above, a bank’s managers must fulfil certain obligations (as set forth in the ACI and in the FIN-FSA’s regulations and guidelines) to manage the bank professionally and in a way that complies with sound business principles. All banks must maintain an effective risk-management system that seeks to manage and reduce risks to the bank’s liquidity and capital adequacy. The FIN-FSA’s supervision of banks’ corporate governance procedures takes particular note of certain items including, inter alia, the planning and management of a bank’s activities, the establishment of an internal audit function, the organisation of a bank’s activities in general (identification of conflicts of interest, storage of information, effective customer complaint procedures, etc. ), and whether the bank maintains sufficient personnel for its operations, has created and follows a strategic business plan, and ensures that its operations are governed according to sound professional and ethical standards. Each credit institution is required to follow certain rules, pursuant to the ACI, which include a requirement to have a remuneration policy that is in line with the business strategy, objectives, values and long-term interests of the institution. Additionally, remuneration policies must be consistent with, and promote, sound and effective risk management, and must not encourage risk-taking that exceeds the level of tolerated risk of the institution. The rules of the ACI governing remuneration policies are in line with those of CRD IV. Authorisation for a credit institution will be granted if the preconditions set out in the ACI are met. These include, inter alia, that the share capital, cooperative capital or basic capital must be at least €5 million and fully paid at the time of granting a licence, and that the credit institution must meet the capital requirements set out in the ACI. The implementation of the CRD IV package introduced significant changes to the prudential regulatory regime applicable to Finnish credit institutions, including increased capital requirements, changes in the elements of own funds, and changes in the calculation of own fund requirements. The directly applicable CRR entered into force in Finland on 1 January 2014, whereas the requirements of CRD IV were implemented in Finland through the ACI. The ACI also contains specific provisions on consolidated supervision of banking groups, including provisions on the calculation of own funds on a consolidated basis, consistent with the CRR and CRD IV. The FIN-FSA has issued further national regulations and guidelines on the calculation of capital requirements and large exposures. These instructions are related to the national application of the CRR and contain, inter alia, the FIN-FSA’s guidelines on the categorisation of various Finnish capital instruments into Common Equity Tier 1, additional Tier 1 or Tier 2 instruments for the purposes of satisfying the own funds requirements imposed by the CRR and the ACI. In Finland, the BRRD was implemented mainly through two new acts: the Act on Resolution of Credit Institutions and Investment Firms (the Resolution Act)24 and the Act on the Financial Stability Authority.25 The latter regulates the Finnish Financial Stability Authority (the Stability Authority), which is the national resolution authority and is responsible for the resolution of credit institutions and investment firms in Finland. Among its key tasks, the Stability Authority draws up resolution plans for institutions, decides whether a failing institution is to be placed under resolution and applies the necessary resolution tools to an institution under resolution. The implementation of the BRRD also involved amendments to dozens of existing acts, most notably to the ACI, and the repeal of the Act on the Temporary Bank Levy and of the Act on the Government Guarantee Fund. Under the new regime, credit institutions are generally required to draw up recovery plans to secure the continuation of their business in the event of financial distress. These plans must include options for measures to restore the financial viability of the institution and must be updated annually. The plans must be submitted to the scrutiny of the FIN-FSA. In the context of the new legislation, the FIN-FSA has been empowered to apply early intervention tools to banks and investment firms. These tools may be used if the FIN-FSA has solid reasons to believe that the institution will fail its licensing conditions, liabilities or obligations under the capital adequacy regulations within the next 12 months. The early intervention tools include, inter alia, the right of the FIN-FSA to require the bank’s management to implement measures included in the recovery plan, to convene a general meeting of shareholders for the purpose of taking necessary decisions for the recovery, to require the removal of members of the bank’s management, and to require changes to the legal and financial structure of the institution. Pursuant to the Resolution Act, the Stability Authority shall set up and maintain a resolution plan for each institution. The resolution plan must be ready for execution in the event that the institution needs to be placed in a resolution process. The Resolution Act vests the Stability Authority with resolution powers and tools as provided in the BRRD. If the Stability Authority considers that an institution is failing or likely to fail, and that there is no reasonable prospect that any private or early intervention measures or write-down of capital instruments would prevent the failure, and further that resolution is necessary in the public interest, the Stability Authority is empowered to declare and initiate a resolution process in respect of the institution. During such a process, the institution could be subject to the exercise of a number of resolution tools: mandatory write-down of debts or conversion of debts into equity (bail-in), sale of business, bridge institution and asset separation. To continue the operations of the institution, the Stability Authority has the power to decide upon covering the losses of the institution by reducing the value of the institution’s share capital or cancelling its shares. As part of the single resolution mechanism, a new Single Resolution Fund (SRF) managed by the SRB commenced operations in January 2016. Finnish credit institutions must pay annual contributions to the SRF. The amount of the contributions shall be determined in accordance with the SRM Regulation. The ACI sets out the conduct of business rules for banks, and lays down provisions on civil and criminal liability for breaching those rules. As regards the activities banks may engage in, all credit institutions may provide various financing services (such as lending, leasing or factoring) as well as other services covered by their licence, but only deposit banks are entitled to accept deposits from the public. The regulation concerning payment accounts with basic features was amended through the adoption of the Payment Accounts Directive27 (PAD) via the ACI on 1 January 2017. Pursuant to the ACI, customers are always entitled to certain basic banking services, as a result of which deposit banks may only refuse to open a payment account with basic features and to offer payment services relating to that payment account for weighty reasons, such as non-compliance by the customer with anti-money laundering obligations. Following the implementation of the PAD, online banking credentials are also considered a part of basic banking services, and banks may no longer refuse to offer online banking credentials to, for example, customers with a bad credit history. With the entry into force of the ACI in 2014, certain new conduct of business obligations were introduced in the legislation; these include the obligation for banks to comply with good banking practice, the content of which is likely to evolve in the future. Furthermore, a binding maximum loan-to-value (LTV) ratio for housing loans was introduced in the legislation. The binding maximum LTV ratio, and the FIN-FSA’s power to tighten this ratio, entered into force on 1 July 2016. In November 2015, the FIN-FSA issued specific guidelines on the calculation of the LTV ratio to harmonise the LTV concept in the market of housing loans for personal customers. Foreign (non-Finnish) credit institutions providing services in Finland must also comply with these guidelines. The ACI also provides banks’ clients with extensive protection as regards banking secrecy. In practice, banking secrecy rules are generally strictly applied in Finland, although there are certain notable statutory exemptions to the banking secrecy obligations, including the ability to provide information within the same group of companies for certain purposes, and the right of certain authorities to obtain information. Since the enactment of the ACI, the legislation now contains express provisions requiring non-Finnish credit institutions to comply with the conduct of business obligations set forth in the ACI when offering banking services in Finland, irrespective of whether these services are offered through a Finnish branch or on a cross-border basis. The ACI contains provisions on both civil and criminal liability, although breaches of certain provisions of the ACI are governed by the Finnish Penal Code. Under the ACI, civil liability for damage caused due to wilful misconduct or negligence when performing their duties extends to the founder of a credit institution, the members of its supervisory board and board of directors, as well as the credit institution’s managing director. The main source of funding for banks operating in Finland is deposits. The banks fill the funding gap between lending to customers and accepting deposits by issuing bonds mainly to international wholesale capital markets. The market demand for the bond issuances of Finnish banks has remained satisfactory. The market has seen the introduction of CRR-compliant additional Tier 1 and Tier 2 instruments. 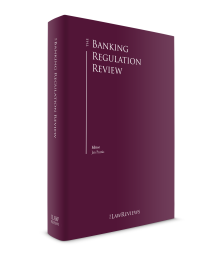 As part of the new CRR regime, banks need to consider the capital adequacy treatment of each of the instruments. Being cautious about any possible strings attached, the Finnish banks have not resorted to ECB special funding facilities to any significant extent. Prior notification to the FIN-FSA is required when acquiring shares or interests, either directly or indirectly, in a credit institution and thereby establishing a qualifying holding (i.e., at least 10 per cent of the shares or comparable other capital of the credit institution, or at least 10 per cent of the voting rights or other holding entitling the holder to exercise similarly significant influence in the credit institution). The FIN-FSA must also be similarly notified if the holding in a credit institution is increased so that the proportion of the share or comparable other capital or voting rights held reaches or falls below any of the thresholds of 20, 30 or 50 per cent of the same, or results in the credit institution becoming or ceasing to be a subsidiary of the acquirer. The same notification requirements apply where an acquirer is party to an agreement or other arrangement that, if or when effected, will result in the acquirer’s holding reaching, exceeding or falling below one of the aforementioned thresholds. The names of the owners of holdings referred to above, as well as the sizes of those holdings, must be notified by the credit institution or its financial holding company to the FIN-FSA at least once a year, and any changes in the ownership of any holdings that have come to its notice must immediately be notified by the credit institution or its financial holding company. The FIN-FSA may, within 60 business days of receipt of the notification, object to the acquisition of the holding if the holding would endanger the business operations of the credit institutions being carried out in accordance with prudent and sound business principles, and the endangerment is grounded on a breach of additional approval criteria. The FIN-FSA may prohibit the exercise of voting rights in the credit institution by the acquirer for periods of one year at a time where an acquisition violated the acceptance criteria of the FIN-FSA’s opposition or is not duly notified to the FIN-FSA, resulting in, inter alia, the suspension of all the rights related to shares or participations in a credit institution other than the right to profit. The Act on Commercial Banks and Other Credit Institutions in the Form of a Limited Company contains provisions on mergers, demergers and transfers of business of a credit institution operating in the form of a limited liability company. Corresponding transfers of business provisions are also included in the Savings Bank Act and in the Act on Cooperative Banks and Other Credit Institutions in the Form of a Cooperative, which means that savings banks and cooperative banks are also able to transfer business to another credit institution in accordance with the special regime. The provisions require, inter alia, a merger, demerger or transfer plan to be prepared, and public summons to be given to the creditors of the bank, except for its depositors. Creditors, excluding depositors, are entitled to object to the arrangement, usually within a period of three to four months of the date of the public summons. If the prompt completion of the arrangement is considered necessary by the FIN-FSA to safeguard the stable operation of a credit institution, the arrangement can be executed despite any objections by creditors whose position will not be jeopardised by the arrangement, in the FIN-FSA’s opinion. Creditors who have objected to the arrangement under any other circumstance must give their consent and receive payment or be granted a security for their claims before the completion of the arrangement. Even though they are not considered creditors, banks’ depositors must be informed of the arrangement. Depositors whose deposit would be excluded from the deposit guarantee in full or in part are entitled to terminate their deposits. The FIN-FSA must be informed of the arrangement before the public summons is applied for, and informed in due course of creditors’ potential objections. The FIN-FSA has an individual right to object to the arrangement in the event that the receiving party will not need to apply for a new authorisation and the FIN-FSA considers that the arrangement endangers the fulfilment of the conditions for the bank’s authorisation. With regard to the regulation of the Finnish banking sector, as of 1 January 2018, the FIN-FSA has been authorised to set a systemic risk buffer of 1 per cent to 5 per cent on credit institutions to be applicable from 1 January 2019 at the earliest. At the time of writing, the FIN-FSA has not imposed the countercyclical buffer or the systemic risk buffer. 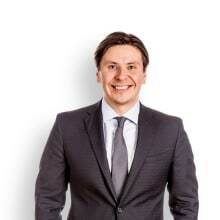 In addition, the PSD2 was implemented into national legislation through the Finnish Payment Services Act28 and the Finnish Payment Institutions Act.29 Through the adoption of the PSD2, the scope of application of the PSA was extended by bringing new types of payment services within the scope of regulation and supervision. Further, the fourth Anti-Money Laundering Directive30 was implemented into national legislation through the Finnish Act on Preventing Money Laundering and Terrorist Financing (the AML Act).31 The new legislation imposes additional obligations on banks and other entities, such as an obligation to prepare an individual risk assessment and establish independent and anonymous whistle-blowing channels for its employees for the reporting of suspected breaches of the anti-money laundering regulations. The new AML Act also includes toughened sanctions provisions. As regards structural changes in the banking industry, one of the most significant news stories of the year was the announcement by Nordea Bank AB (publ) that the bank’s board of directors is contemplating the re-domiciliation of the parent company into Finland. It is proposed that the re-domiciliation be carried out through a cross-border reversed merger by way of absorption, through which Nordea Bank AB (publ) will be merged into its wholly owned subsidiary Nordea Holding Abp, a newly established public limited liability company registered under the laws of Finland. It is estimated that the completion of the merger will be registered with the Finnish Trade Register during the second half of 2018, tentatively on 1 October 2018. Digitalisation, new regulations and the introduction of new fintech entities is reforming the financial sector and increasing competition. Competition beyond the traditional banking sector is putting pressure on banks to revise their strategies and operating models rapidly, and the implementation of PSD2 is expected to further attract new entities entering the financial market. Digitalisation has also increased threats arising from cyber-related crimes, which challenges banks to establish new approaches to cybersecurity. As a result, Finnish banks have taken steps to prepare for the changing environment by investing in developing IT systems, new services and service channels as well as cooperating with fintech companies. However, digitalisation has not introduced major changes in lending, and although the Finnish regulatory framework for crowdfunding32 has facilitated entry into the lending market, markets for peer-to-peer lending and crowdfunding have remained relatively small. Despite the continued low interest environment, the profitability of the Finnish banking sector has remained relatively good. The capital adequacy of the Finnish banking sector is also strong, clearly exceeding the requirements imposed by the CRD IV regime. 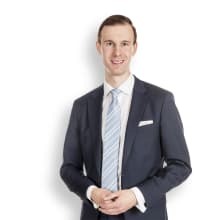 However, the low level of interest rates are placing a strain on Finnish banks and, consequently, they have continued to reinvent their business models and strived to strengthen their ability to compete by undertaking structural reorganisations. These structural changes are likely to continue. 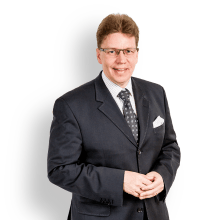 1 Janne Lauha is a partner and Hannu Huotilainen, Viola Valtanen and Tomi Immonen are associates at Castrén & Snellman Attorneys Ltd.
2 Source: ‘Economic Survey’, Winter 2017 by the Finnish Ministry of Finance, published on 19 December 2017. 3 ‘Banking Barometer’ by Finance Finland, published on 22 December 2017. 4 Financial statements for 2017 had not been published at the time of writing this chapter. 7 Act on Credit Institutions 8.8.2014/610. 9 Regulation (EU) No. 575/2013. 19 Article 92(3) of the CRR. 20 Article 4(1)(118) of the CRR. 21 These credit institutions are OP Cooperative and Municipal Finance Plc. Also, Nordea Mortgage Bank Plc has been identified as an O-SII and an additional capital requirement (O-SII buffer) will be applicable to it from 1 July 2018. 22 Commission Delegated Regulation (EU) 2015/61. 23 Regulation (EU) No. 806/2014. 26 Namely, OP Cooperative and Municipal Finance Plc. 32 The Finnish Act on Crowdfunding (734/2016) entered into force in 2016.